Tattoos are more popular than ever. Unlike those faded out, not so nice looking tattoos of the past. Tattoos today are skillfully inked, beautiful designs, some are colourful and others are simply black and grey. Of course, before going to a tattoo studio you’ve got to have a design at hand or something you can explain to the artist, to give him or her an idea of what you want. Typically, an artist will sketch a design for you. If you don’t want the design or want to modify it a little more, don’t hesitate to ask for a resketch. Remember, don’t get a tattoo that you don’t want, these things are permanent, so be a little picky when choosing a design. If you got the design that you want, then it’s time to choose the artist to make it. 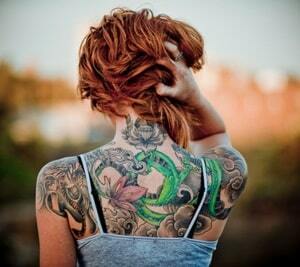 When it comes to choosing a tattoo artist, the cost is directly proportion to the results. So you better save up and get the best artist you can afford. This step is probably the most neglected part of the tattoo process. Most will indulge countless hours finding or crafting a tattoo design and get it inked, without having an idea on how to take care of a fresh tattoo. You may have the best tattoo design made by the best tattoo artist in the world, but if you don’t know a single thing about tattoo aftercare, then your precious ink may end up down the drain. So include tattoo aftercare in your research or at least have an idea on how to take care of a new tattoo. That’s it, knowing these three steps will ensure you of a successful tattoo experience – so go on and get inked!